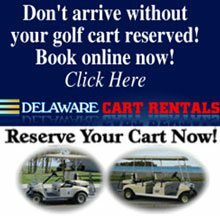 Book Your Golf Cart Rental Online & Save $5.00! Sign up to become a Put-in-Bay Insider and you’ll enjoy exclusive incentives on everything from unique lodging specials to golf cart and bike rental discounts, entertainment and more. Plus, get entered for a chance at a FREE WEEKEND! Your perfect Put-in-Bay wedding is waiting for you. A Put-in-Bay wedding or reunion deserve the finest, and you can find it on our little resort island of Put in Bay. Our full-service Put-in-Bay Hotel offer spacious facilities for ceremonies and receptions. Make this special day a truly memorable one with our wedding packages. This package is for receptions with up to 450 guests and features everything a proper wedding requires, overseen by a professional host to oversee your event. To Review These Items, Feel Free To Download Our Wedding Planner Guide Click here! Romantics will feel at home on the island of Put-in-Bay, where there are as many unusual and beautiful places to propose as there are unique locations and ways to tie the knot. Because Put-in-Bay loves lovers, you will have no problem making your dream day come true. The best choice you can make to fulfill that dream is to leave all the planning details and hassles to the able wedding planners at our recommended venue, the Put-in-Bay Resort. We can arrange everything, from tuxedo and gown rentals to champagne and wedding cake, photographer, antique limousine, music, flowers and more. (some services are arranged via mainland vendors) We can work with you to plan every aspect of your special day or as little as you wish us to be involved. And, of course, luxurious romantic honeymoon accommodations fit for a king and queen right here at the resort. We’ll “go on location,” too, to service your wedding, traveling to historic sites, churches, architecturally-impressive chapels, gardens and other locations throughout Put-in-Bay Island. Just contact the experts at the Put-in-Bay Resort. When booking with Put-in-Bay resort for your reception, the bride and groom are the most important aspects and we wish to work closely with you to make sure the day is absolutely perfect! Our wedding consultants are professional and work hard to make sure you get exactly what you want in your planning, reception and wedding services. The key to a successful function is advance planning. Our staff makes sure each aspect is covered and checked and then walks through your event the week before to make sure each aspect is checked twice. Please visit our wedding site Click here for more information on our Put-in-Bay wedding and reception services. If you wish to plan each item yourself, and many people DO choose to save money and do their own planning, please visit our Put-in-Bay wedding tips page Click here to find a complete listing of the important things to remember, such as officiants, caterers, wedding cakes, flowers, wedding locations, DJ services, reception sites, and accommodations. There are many ways to customize your Put in Bay wedding ceremony and reception. Our planners will start with a fact sheet that asks questions of you to determine the best possible match in order to plan your special event. For additional information and planning assistance, please contact us or e-mail our coordinator. Please keep in mind that weekends book many months in advance, so plan your Put-in-Bay wedding early!